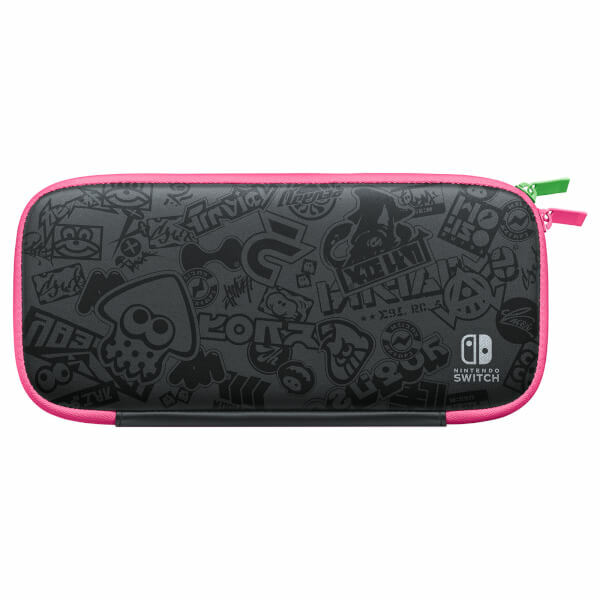 Enjoy the Splatoon 2 home console experience anytime, anywhere with this Special Splatoon 2 Edition Nintendo Switch Accessory Set. This pack includes a Splatoon 2-themed carrying case for your Nintendo Switch console and a screen protector for the console’s screen. This black case features a green and purple trim and is covered in a lively pattern of Splatoon 2 motifs. Enjoy a full home-console experience anytime, anywhere with the Nintendo Switch Accessory pack. This pack includes a carrying case and screen protector. 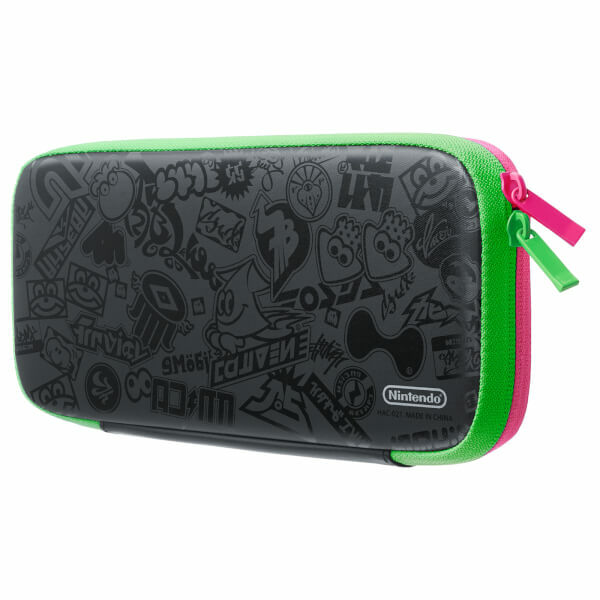 The case can also be used as a stand for the console. It is the main bag I’m using to move my switch around with me everyday in my main bag. 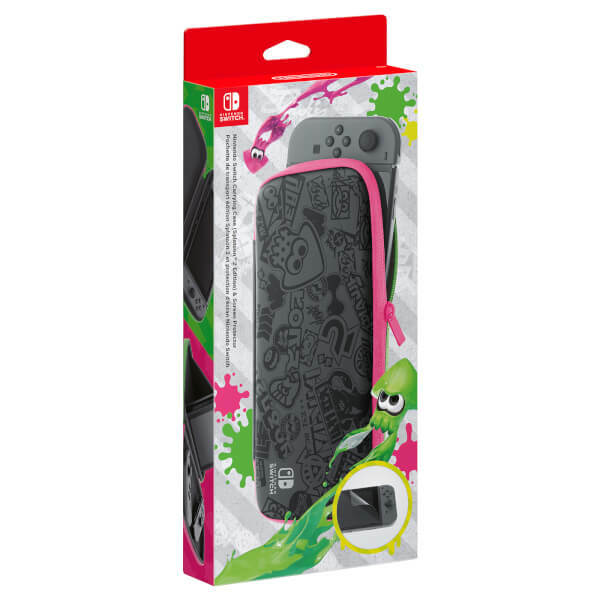 The Splatoon branding make it to really shine, goes really well with the corresponding pair of joycon! Looks really nice, I love the shiny effect of it. It is practically and you can store cartridges in it.